Have you ever had one of those moments when, whether you knew it or not, your future was determined by a seemingly small decision or act of fate? For instance, I went from pursuing a History Major with a Classics Minor to achieving a double major in History and Philosophy because I transposed the number of one of my required courses. I took Philosophy 110 - Ethics when I was supposed to take Philosophy 101 - Ancient Philosophy. In 2008, at Word on the Street: Toronto, another small decision changed the course of my life. At the time I was mostly writing Science Fiction and Fantasy, although I did have a Western and a Mystery on the go. I visited the Science Fiction and Fantasy Writers table and found out that they didn't accept unpublished authors. Then I visited the Crime Writers of Canada table. They did have an Associate Membership for unpublished authors (also editors, publishers, librarians and bookseller). Not only that, they had a contest sponsored by a publisher for novel manuscripts. Science Fiction/Fantasy got set aside for the time being and I became a Mystery/Suspense author with a side of Historical Western Romance. Now I'm wondering "What if?" What might my current books be like if I stuck to SF/F? 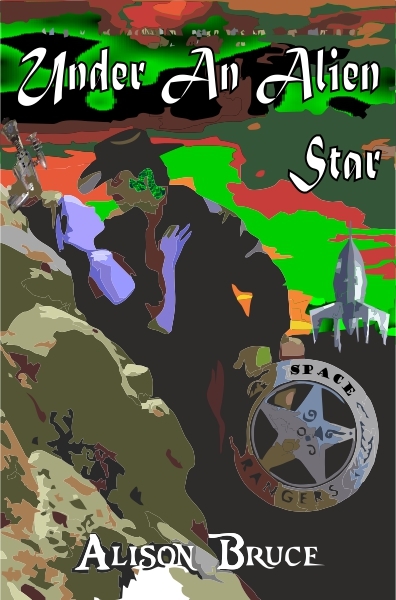 Disguised as a Terran boy, Shapeshifter Marly joins a handsome cyborg Space Ranger in the hunt for a con man and they must bring the fugitive to justice before giving up the masquerade and revealing Marly's chameleon colours. Prudence Hartley has the usual single mom problems that become a tad more complicated and a lot more dangerous when she finds a alien in her house. 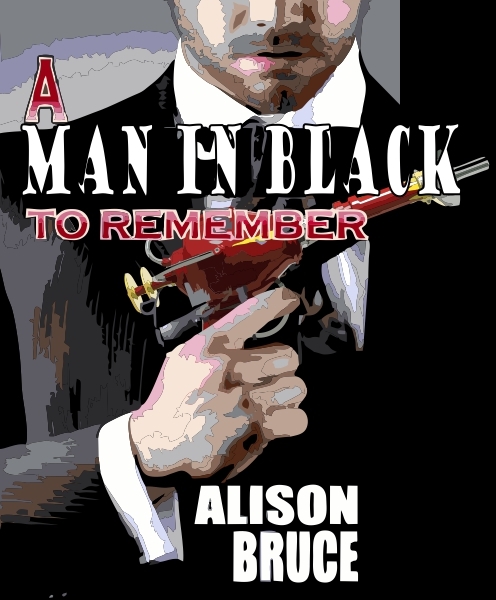 Suddenly, M, one of the Men in Black, shows up and whisks her and her kids into protective custody. Pru has so many questions spinning through her brain she doesn’t know where to begin. How is she going to keep her kids safe? Why are extraterrestials after her? Oh, and there’s one more question . . . Why does M keep flashing that stupid light in her eyes? After the death of their father, twin sisters Maggie and Matty Becker are forced to take positions with officers’ families at a nearby fort. Fortunately their recipes for hearty economical soups makes them very popular, especially their French Onion Soup. 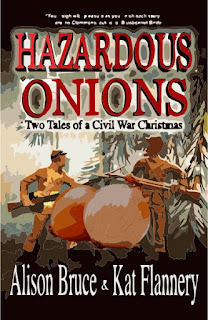 When the southern states secede, the twins are separated, and they find themselves on opposite sides of America’s bloodiest war. Unbeknownst to them, Earth has been visited by the Alliumites, small aliens that resemble onions. Aliens that North and South wish to control. Will the Becker sisters start World War O? Or will they make peace and change their specialty to Potato-Leek Chowder? 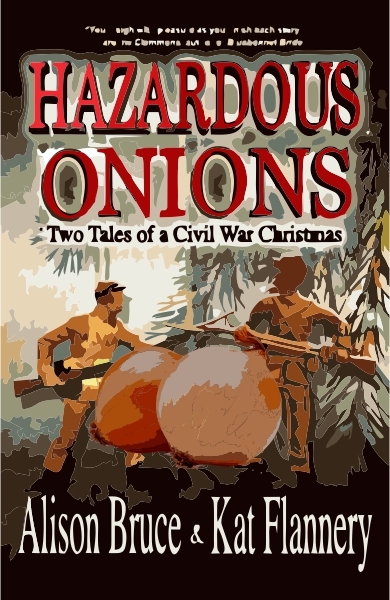 That was the one that got me started: Hazardous Onions. Of course, once started, I had trouble stopping.